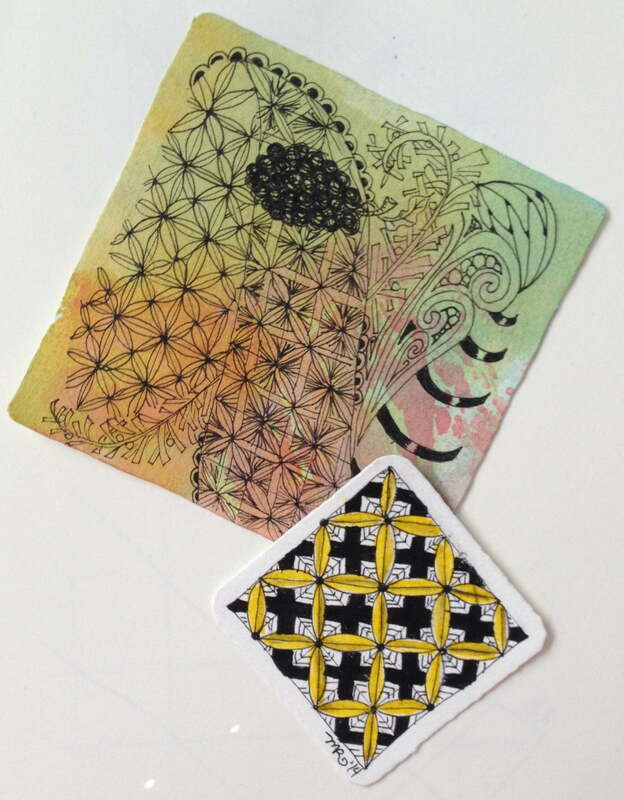 Getting to the Crux of Zentangle Patterns - Minette Riordan, Ph.D. I love the Diva’s weekly Zentangle® challenges, they are definitely challenging and keep me inspired and motivated to move beyond my normal Zentangle® practices and same old patterns! Some are more challenging than others, this week was a challenging one for me. We were to practice creating the tangle pattern Crux, beautifully designed by Henrike Bratz. Crux was definitely a puzzling problem for me. I always struggle with complex grid patterns, preferring more free-form, organic patterns. It took me a couple of days to feel like I was making progress. In my first attempt, in the tile above with the colored background, I failed miserably. So I got out my gorgeous journal from my Certified Zentangle Teacher seminar in June and spent some time practicing. Practicing my Zentangle patterns isn’t always something I make time for. I tend to try them out right away in new tiles – this tangle pattern taught me to take my time! 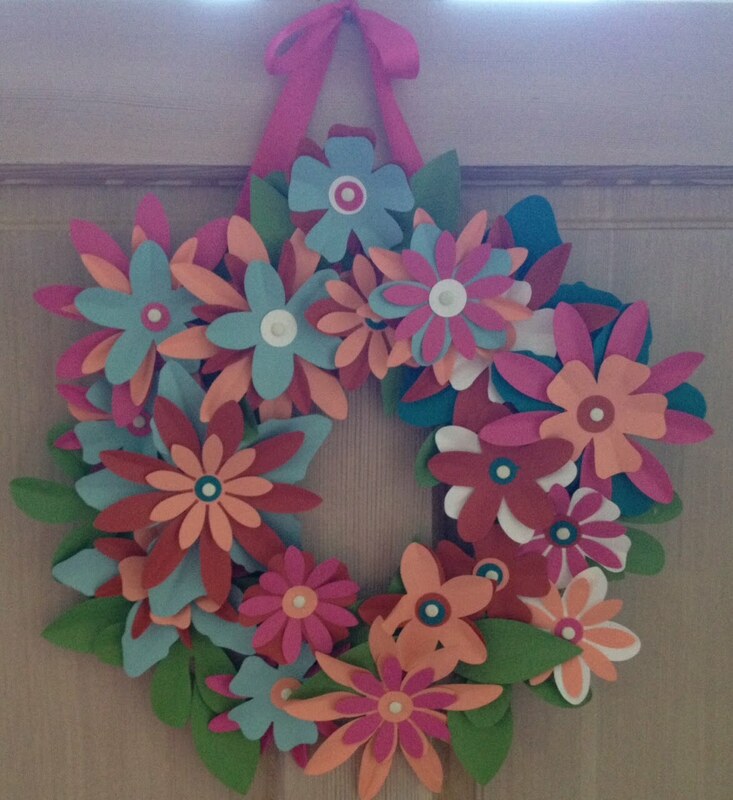 Last night, my daughter and I put together this cute paper flower wreath from Paper Source. I used the template left over from the flowers as my “string” and filled each one with a variation of Crux. It was better, more fun but still need to work. 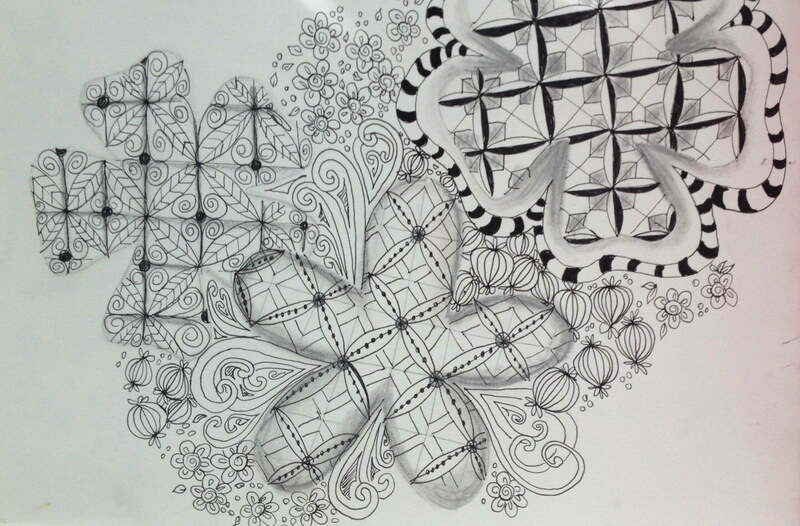 I definitely needed to focus and go slowly, two tenets of Zentangle® practice. Finally, I pulled out a new Bijou® tile to do a monotangle with Crux. I am getting there, this was my most fun version yet and I have been playing with the color yellow a lot this week so added it to my crosses. I love the tiny new Bijou tiles and am discovering that they are delightful for working on individual Zentangle patterns. Zentangle definitely teaches me to be patient, focus, breathe and relax into the process! Sound like fun? I offer private Zentangle classes in Santa Barbara, CA or virtually via Skype. You can email me for details. I should try the Zectangle out which seems to be a super creative way to relax the mental muscles. It’s something I am reading today for the first time and a cool post. Really like the Bijou tile. I do not have any, but would agree it is good for monotangles. I like your variations in the last also. I know what you mean about taking time to practice. I do not do it as much as I should even though I encourage my students to get a journal and do exactly that. Wonderful tiles! Especially I like your lovely variations of Crux! Beautiful, also the flowers your daughter made!! !